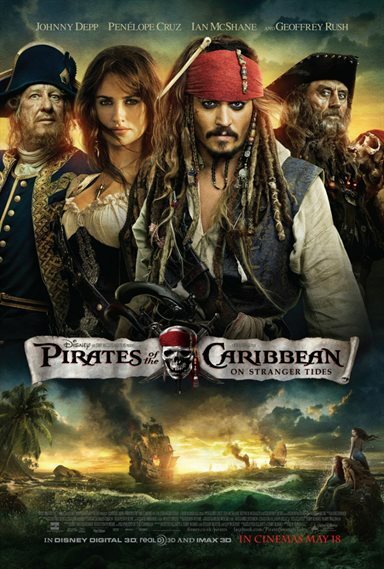 Download Pirates of The Caribbean: On Stranger Tides in Digital HD from the iTunes store. 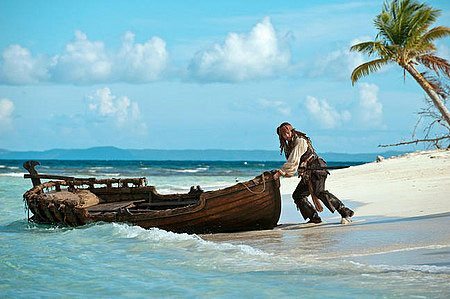 Pirates of The Caribbean: On Stranger Tides images are © Walt Disney Pictures. All Rights Reserved. The fourth movie in the Pirates franchise, this one is the first one that does not include Will Turner and Elizabeth Swann, and is Jack Sparrow-centric. The last time we saw Jack Sparrow he was in a long boat sailing towards what appeared to be Florida, with Hector Barbossa commanding the Black Pearl. 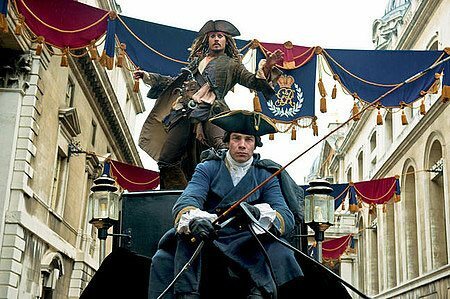 This movie opens in London, with the trial of Jack Sparrow. 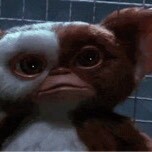 In London, the movie seems to be a remake of the first movie, with not as much heart as the first one. After leaving London however, the movie gets a groove and goes into a slightly different direction than the first movie. At the end of At World's End, Jack had stolen a part of the special pirates' map that showed where the Fountain of Youth was. Jack leaves London as part of one crew that is looking for the Fountain as well. But just one ship doesn't make the story – there are two other crews looking for the Fountain as well. A Spanish fleet, and a British ship led by Captain Barbossa, who has turned into a privateer for the British Royal Navy. But Barbossa is different this time – he's missing a leg. Later in the movie we find out what happened to the leg – he lost it defending the Black Pearl from Blackbeard, who sank the Black Pearl, but Barbossa was able to escape with his life. 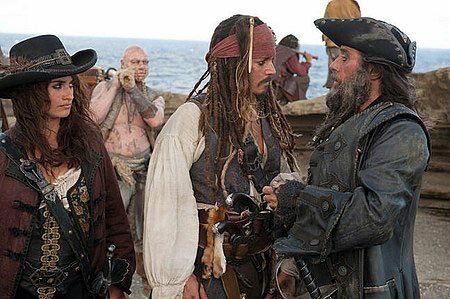 We also find out who is leading the crew that Jack is with – it happens to be Blackbeard, who is searching for the Fountain as there is a prophecy that a man with one leg will kill him. All three crews eventually come together for an exciting climax and battle near the end of the film. While it was a fun film, I couldn't help but feel that Jack Sparrow was restrained in this film compared to the previous three. While he is still extremely fun to watch, there was something missing in this film. Geoffrey Rush returns as Hector Barbossa, and I can't imagine a Pirates film without the Barbossa/Sparrow squabbles (In fact, on the Blu-Ray bonus disc there is a much too short featurette about Sparrow v Barbossa). But for the first half of the film, the real Barbossa was hiding underneath a British wig. Not having the true Barbossa was a big reason why the first part of the movie seemed to be a lower quality remake of the first film. Ian McShane is a newcomer to the series, playing Blackbeard. Ian generally gives it his all in any role that he does but I couldn't really get attached to him. Blackbeard came off as just plain ruthless for no apparent reason at all, other than complete narcissism. Penelope Cruz plays Angelica, the daughter of Blackbeard, who, as we find out, also had a previous relationship with Jack Sparrow. She does an excellent job as Angelica, but her banter with Jack Sparrow seemed forced at times – I don't think it was a chemistry issue as much as a writing issue. The movie was filmed for 3D using dual RED cameras, so the 3D version is much better than post-production ones as they didn't need to mess with the brightness to help create depth where there was none before. However, the movie seemed to use 3D more for 3D gags rather than depth of field like other "made for 3D" movies of late have. Several times the movie has a sword waved or pushed into the audience view for no other reason than to show off the 3D – the same scenes could have been done from a different angle and still been as effective if not better than how they were shot. But the 3D is still much better than post-production 3D as the depths of the shots are natural to the eyes. The 3D Blu-Ray arrives bare bones as usual with the recent 3D releases, except that they did port the Blu-Ray menu into 3D. Some of the other movies use a static menu, this one was animated. The movie shines on both versions of Blu-Ray with extremely sharp images and crisp surround sound that envelops while you watch the action on the screen. The regular Blu-Ray disc itself comes with Disney Second Screen, audio commentary by the Director Rob Marshall and Executive Producer John DeLuca, as well as the "Bloopers of Caribbean" and a LEGO Pirates of the Caribbean short. The last two items are also on the DVD which is included in the set. 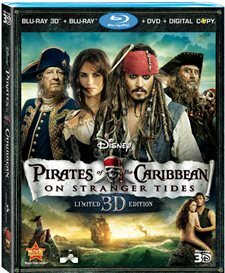 The true extras are included on a separate Blu-Ray disc, which has the deleted scenes (there wasn't much to the scenes that were cut or shortened, except for one additional nod to the Disneyland version of the Pirates ride, Legends of On Stranger Tides (a decent look at the entire film process, from on location to the soundstages, in chronological order), In Search of the Fountain (which discusses how the final scene was created), Bringing the mermaids to life (a discussion on how the CGI was done for the mermaids), and Johnny vs. Geoffrey. The last bonus is probably the best of the bunch, as the Sparrow v Barbossa squabbles are the best parts of all the Pirates movies. The addition of the digital copy of the movie makes this set an excellent value, even if you don't have a 3D TV yet – it's worth it just to have it for when you do. 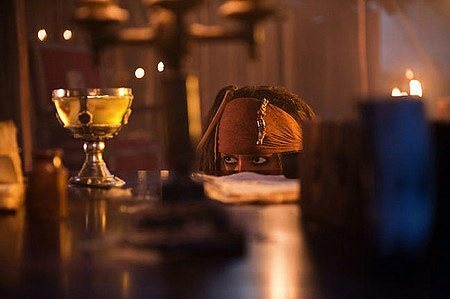 Pirates of The Caribbean: On Stranger Tides images © Walt Disney Pictures. All Rights Reserved. Saw the first three last week. Might as well watch this one.